Hello! Back to my Lush reviews as well today! 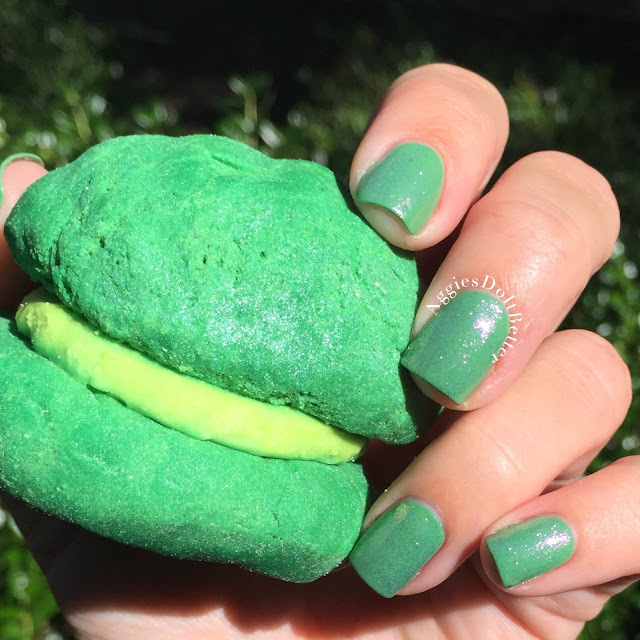 This is the Green bubbleroon, which is a bubble bar similar to the pink Rose Jam one with a creamy moisturizing center. Green is being discontinued, it's already not available on the UK website but it's still on the US app and probably in stores :( so I went ahead and ordered 2 right off the bat, figuring I would like it! On my nails is Zoya Josie (one of my favorite Zoya greens!!) and Leia (holographic topcoat). Green smells really really good! The main notes are Juniperberry, Bergamot and Lime oils, with cocoa butter. It pairs really well with my all time fav Avobath. And it makes the water an awesome shade of blue green...heart eyes! 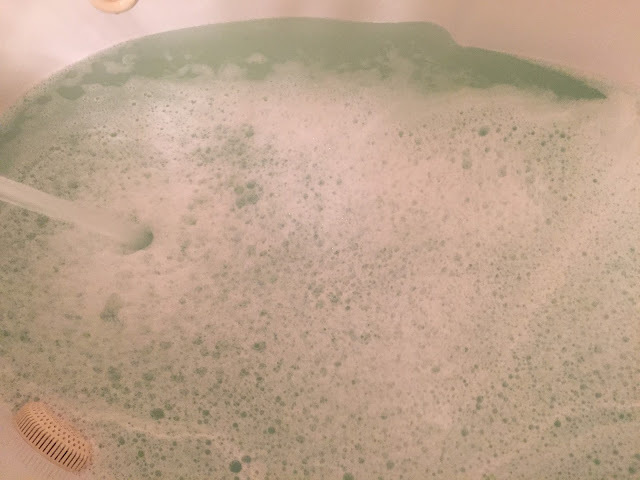 I only use 1/4 of it at a time...you can see in the video below the small portion I used and the huge amount of bubbles it made! 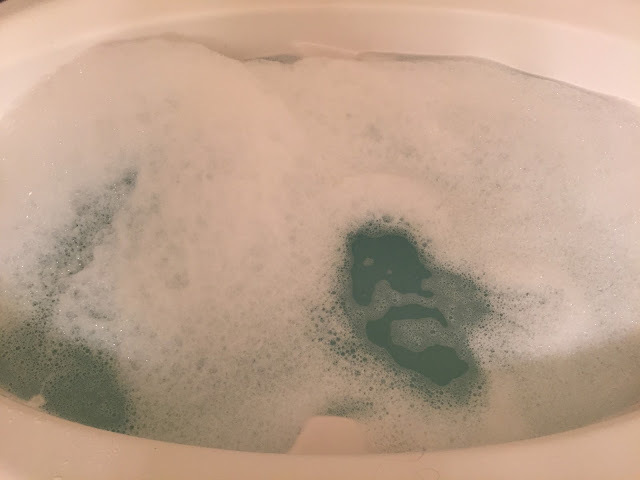 Checkout the video to see the tiny size of product I used and the huge amount of bubbles it made! I'm glad I ordered 2 of these, next time I'm around a store I'll be sure to grab some more! I'm so sad they are going away! !